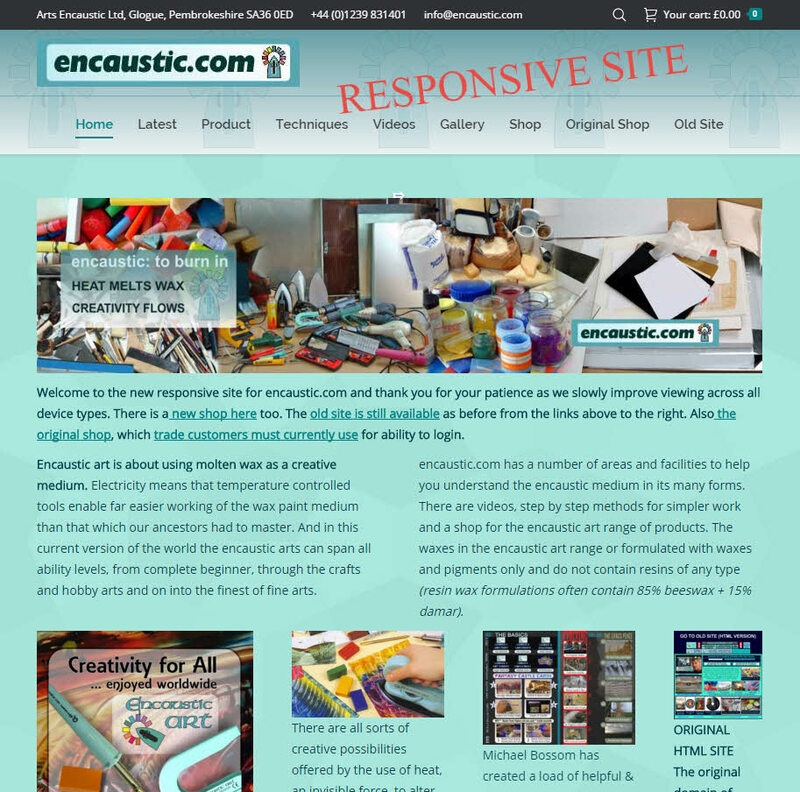 Encaustic.com has now converted to a fully responsive site, meaning that you can browse with ease on any device from phone to tablet & desktop. The new site format also contains a new responsive shop which make phone shopping easier. There are still links to the original HTML site and the original shop too, so if you prefer you can also continue to go there for shopping & browsing on larger devises like tablets of desktops.